There is no best or worst material, the choice has to come from the planned usage of a luminaire. Metals such as stainless steel, although demanded by minimalistic interior designers, are heavy and suffer from similar drawbacks as aluminium, namely the restricted possibilities for shaping. The wide array of plastics, on the other hand, depends largely on the imagination of the designer to mould them into a desired shape. OMS is proficient at shaping polycarbonates and polyamides with plexiglass sheets used as a covering of a luminaire. The most often used materials in the illumination universe – aluminium and plastic in combination with sheet steel – have their advantages and drawbacks. 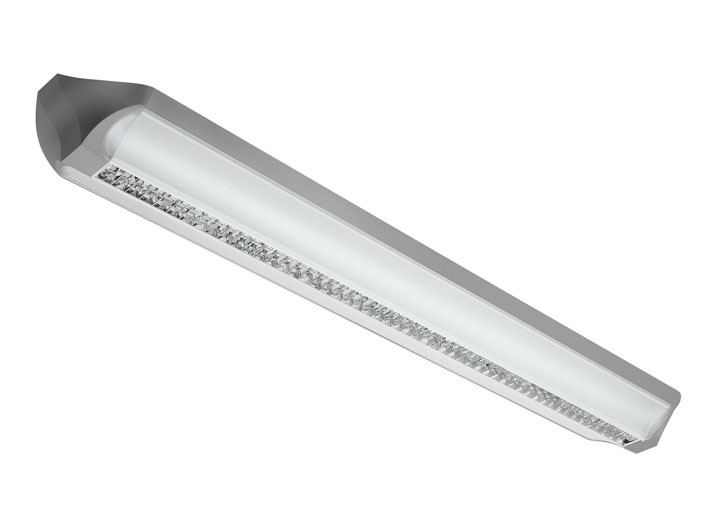 Extruded or die-cast aluminium with its industrial look fits both technical environment and minimalistic designed spaces while providing sturdy, long-lasting construction material that protects the luminaire from outside influences. Its available shapes are finite as well, it is difficult to curve and bend elegantly, for example. With proper experience and technologies eve this feat can be achieved, though. Metals such as stainless steel, although demanded by minimalistic interior designers, are heavy and suffer from similar drawbacks as aluminium, namely the restricted possibilities for shaping. The sheet steel is often used as a backbone of a luminaire, it can be bent, welded or perforated to provide different effects and functions. Like aluminium, shaping steel comes at a price and demands experience and prowess. The wide array of plastics, on the other hand, depends largely on the imagination of the designer to mould them into a desired shape. OMS is proficient at shaping polycarbonates and polyamides with plexiglass sheets used as a covering of a luminaire. Technical background for such moulding is necessary, as the moulds themselves require prowess and intimate knowledge and behaviour of the material used. With this savvy at hand, however, he can partake of the vast amount of colours, shapes and finishes that the plastics offer. Again, there is no best or worst material, the choice has to come from the planned usage of a luminaire. 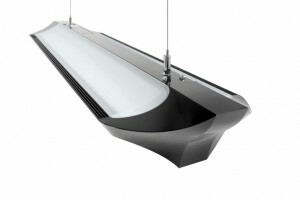 Glass, whether blown or cut, also demands technical skill from the designer when used as a main material for a luminaire. He has to make sure that the brittle nature of the glass luminaire will fit the intended purpose rather than make it a drawback. The insides are the most important part of the luminaire from the functional point of view – they contain the source of light itself. Whether incandescent, fluorescent or LED, all have their specific demands for the materials used. Where LED has its necessary circuit board, which must fit the housing while fulfilling its role, incandescent and fluorescent light sources require either plastic or ceramic mount. The housing must be designed with heat dissipation in mind. For example the plastic near the light source must withstand the working temperature of the bulb or a LED array without melting or bending, even after prolonged use. A quality research and development team is there to ensure that such basic mistakes will not happen.